Customize the 5-in-1 Panel Jumper to best fit your party’s theme. 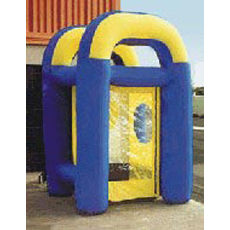 Your guests will jump for joy in this classic bouncer. 72 feet of obstacles stand between you and the finish line. 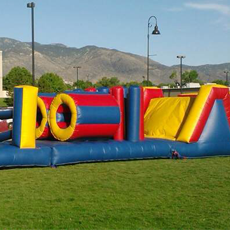 This inflatable Obstacle Course features two lanes of tunnels and walls to overcome. Compete against 3 of your friends – and the bungee! Bungee Extreme is a race to see who can get their ball in the hoop first. Everyone loves a Carnival. 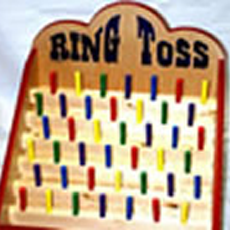 Select from a wide range of some of the most popular carnival games and booths to create a festive atmosphere of fun. Sure to grab everyone’s attention, the Cash Cube sends cash or coupons flying as your guests make a grab for fun and prizes. 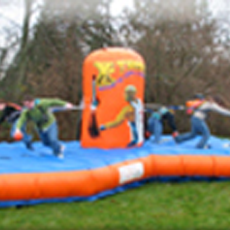 Are you looking for an exciting activity for your next corporate event or fundraiser? 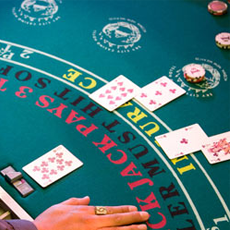 Raise the ante on your next party when we bring the fun and excitement of Las Vegas right to your location. The perfect compliment to all of our party offerings! 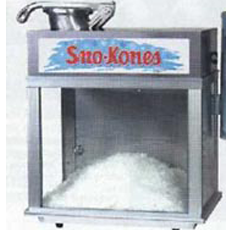 From sno-cones to popcorn, our Concession machines can help make your party planning a breeze. Nothing gets a party started like music. 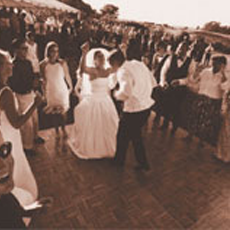 Our professional DJ services include all the equipment you’ll need to get people up on their feet and dancing. Want to make a splash at your next fundraiser? 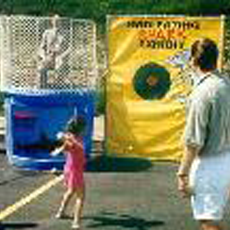 Our Dunk Tank provides 500 gallons of fun as your guests try to get their favorite person wet. 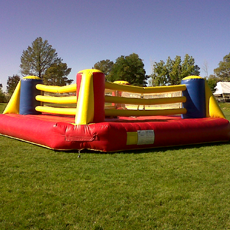 You’ll be the winner when you book the Extreme Obstacle Course. Two contestants race through this course full of walls, tunnels and tubes, sliding to victory. This attraction will be a hit at your next event. Mondo Boxing features an inflatable ring where two competitors compete with oversized boxing gloves. 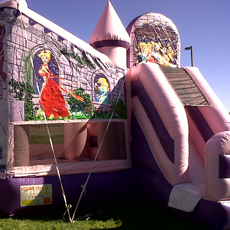 Our Princess Super Castle 3-in-1 Bouncer delivers three times the fun for your little princess and her party guests. 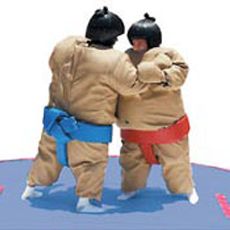 Get ready to rumble and tumble with giant Sumo Suits. These funny suits will help you push the boundaries of any event. 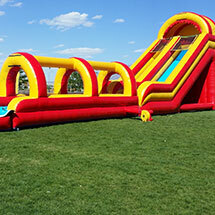 At over 60 feet long, the Super Fun Splash Zone is just what your party needs. 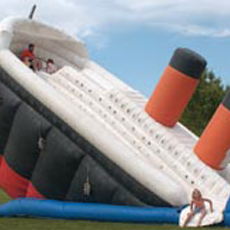 Our newest water slide is sure to be the hit of your next event. Get ready. Get set. Get wet! Kids love bouncing on the belly of this playful feline. 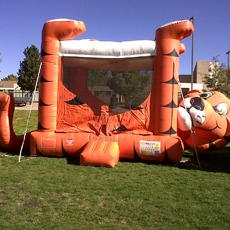 Our Tiger Belly Bouncer is ideal for kids of all ages. Standing 35-feet tall, the Titanic Water Slide is our most requested, and the state’s tallest. Throw on your swimsuit and get ready for hours of fun sliding down the deck of this luxury liner. We’re committed to making our parties as safe as they are fun! Our equipment is well maintained and sanitized after every use. We deliver more than fun – we also give you peace of mind. From backyard parties to large corporate events, Party Pros can help you deliver the biggest bang for your party buck. We don’t just work here – we live here, too. We are officially authorized by city officials to set up in city parks, as well as being an APS-trusted vendor and in compliance with the NM State Amusement Ride Act. There are no boundaries to our fun! Covering the whole state, as well as into Texas and Arizona, Party Pros and ABC Jumpers are your single source for all your party plans. *Offer valid on first party booked with us. Not valid on prior estimates. Limit 1 per customer. From team-building events to large celebrations, let Party Professionals help you have the best event ever! If you’re looking for fun and unique ways to impress your employees or guests, we have the experience and unique attractions to help you succeed. 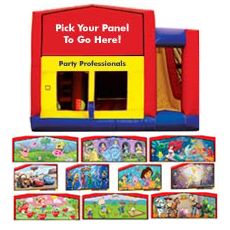 Let Party Professionals help you plan your school carnival, company picnic, kids birthday parties, fundraisers, and other special events. 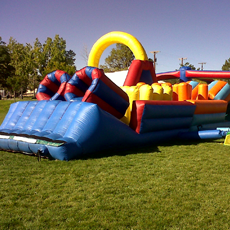 ABC Jumper and Party Pro can turn your backyard or neighborhood block party into an event to remember. From fun and games to party supplies and concessions, let us help you! I receive safe products, good prices and valuable service from Party Pros, and I am glad to recommend them to others. Leroy and Phyllis have always been flexible with my needs and budget, professional in their follow-through, and customer-service-focused. They work with integrity, do what they say they will do, and always meet (and usually exceed) my expectations. Home Sitemap Copyright © 2014 All Rights Reserved.